Are you familiar with organic & raw apple cider vinegar? People have been drinking it forever as a traditional remedy. Vinegar can be very strong, which is why we created Sipping Vinegars and Vinegar Shots. A blend of our organic & raw apple cider vinegar, honey and a fruit or root, these products make taking your daily shot of apple cider vinegar enjoyable. There are no processed sugars or additives. They can be enjoyed as is, in still or sparkling water, cocktails, smoothies, on salads… The list of uses is limited only by your imagination. What is really cool now is that modern research gives scientific evidence for some of these health claims. It can help balance blood sugar for those who struggle with hyperglycemia (1), and it can even help lower bad cholesterol (2). It’s a great addition to your pantry for cooking, but also an affordable way to helpmaintain your healthy lifestyle. On-the-go? 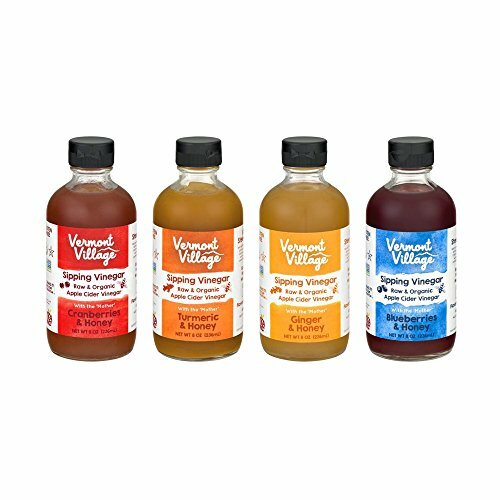 Try our Vinegar Shots! They are the same blend as our Sipping Vinegar, packaged in convenient single serving flexible shots. Throw them in your desk at work, in your carry-on or in your backpack. Life is tough. Drinking vinegar doesn’t have to be. (1) Johnston, Carol S., Diabetes Care 27.1(2004): 281-282. (2) Budak, Nilgun, et al., Journal of Agriculture and Food Chemistry 59.12 (2011): 6638-6644.